Travels and Holidays in Italy, Promotion Italy to promote tourism in our beautiful country and let people know more about the tourist resorts in all regions, both for beach or mountain tourism, information on tourism in Italy. Promotion Italy wants to be a guide for those who would like to know this country better, region by region, under every aspect, from the north to the south of this peninsula. 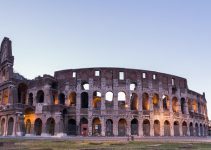 On Promotion Italy you can find information regarding tourism in Italy, suggested itineraries, means of transportation and communication, typical products and the so-called wine and food weekends. Italy is considered as one of the most beautiful, artistically and culturally rich countries, in the whole world. This, when combined with the presence of a variety of receptive structures of every type and category, makes us unique. Foreign tourists consider this an irresistible combination and visit our artistic cities year-round, crowd our beaches during the summer months, and our mountain areas during the winter ones. The territory of Italy is various, going from the sea to hills and mountains, offering many possibilities to those tourists who visit its artistic cities, islands and beaches. Italy’s main tourist resorts offer Hotels of every category (from one-two-three-four stars to five stars) which provide a great hospitality for every need; the farm holiday resorts, hotels and residences are the main income of this region, they are located throughout the whole territory and are situated along the coasts and on the hills. Between the more famous cities of art we remember Florence, Venice, Rome, Pisa, Siena, Bologna, Siracusa, Milano, Torino, but Italy is a true museum to the open air and its territory is richest of testimonies and works of art worthy to be visited. 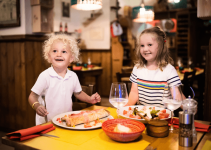 The assortment of Italy’s hospitality is completed by beautiful residential homes and tourist villages right for both families’ and youngster’s holidays.